This is an oldie, but a goodie. 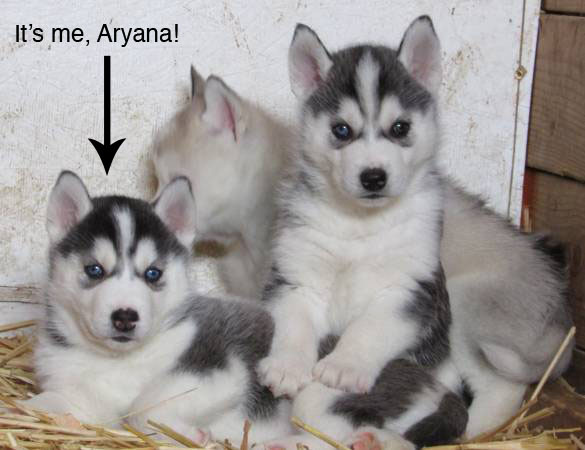 Here’s a picture of me and two of my brothers when we were just 6 weeks old (I’m the cute one, but I drew an arrow just to be sure you know which one’s me). My brother who was rudely sitting on me, has bi-colored eyes (one blue eye, one brown eye).